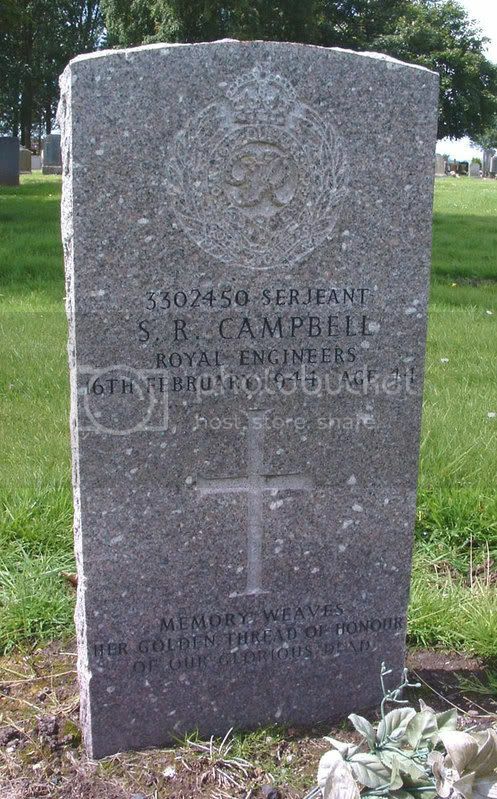 Additional information:	Son of William Campbell, of 23, Overnewton Square, Glasgow; husband of Sarah Curn Campbell. 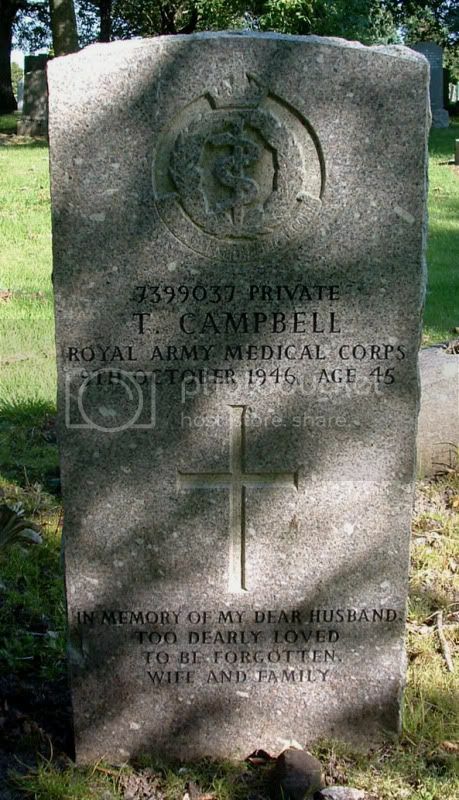 Additional information:	Son of Mr. and Mrs. Angus Campbell, of 93, Parliamentary Rd., Townhead, Glasgow. 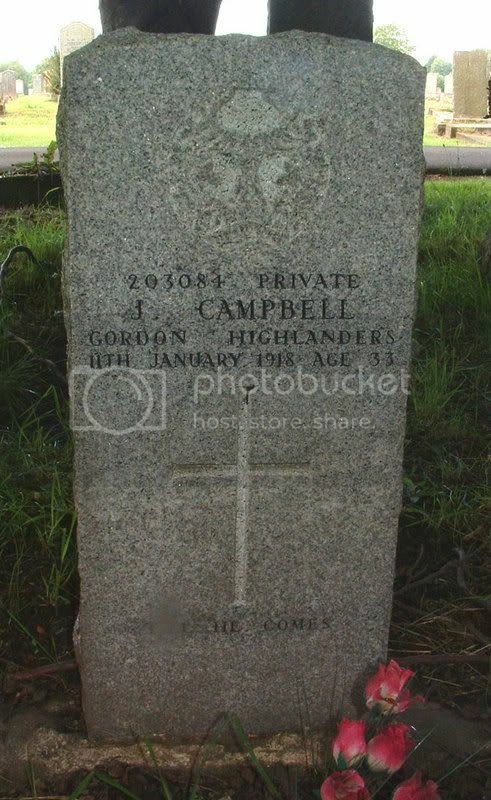 Additional information:	Son of John and Leila Campbell, of Glasgow; husband of Margaret Campbell, of Glasgow. Grave/Memorial Reference:	Sec. I. Grave 860. 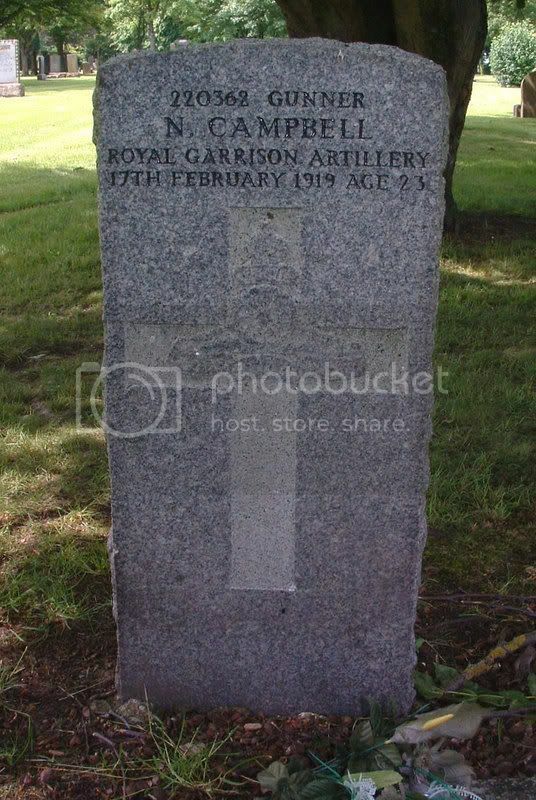 Additional information:	Son of James and Margaret Neilson Campbell, of Glasgow; husband of Jane Campbell, of Glasgow. Grave/Memorial Reference:	Sec. 7. Grave 950. Unit Text:	250th Tunnelling Coy. 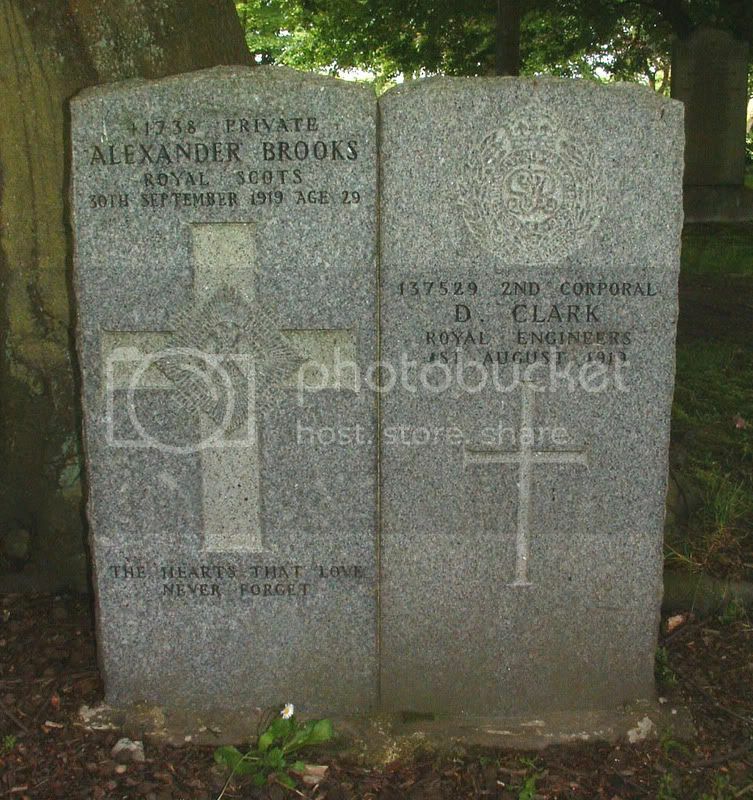 Additional information: Husband of Helen Donat Brooks, of 13, Howat St., Govan, Glasgow. 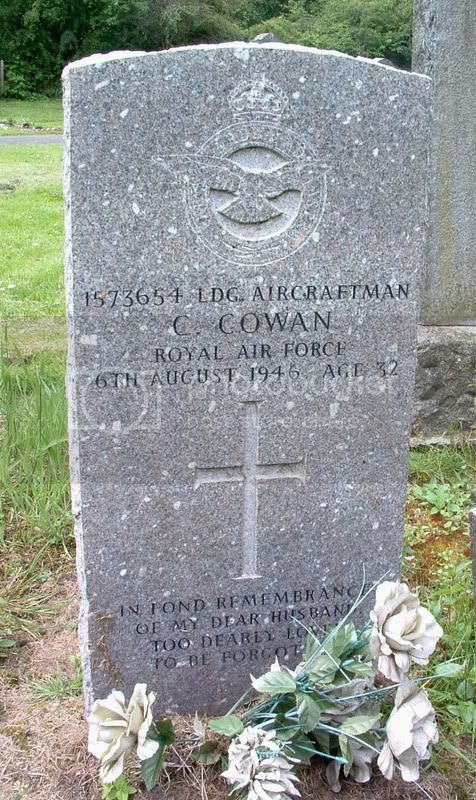 Additional information:	Son of John and Margaret Mary Cowan, of Glasgow; husband of Constance Cowan, of Scotstoun, Glasgow. D.P.A. Grave/Memorial Reference:	Sec. K. Grave 1106. 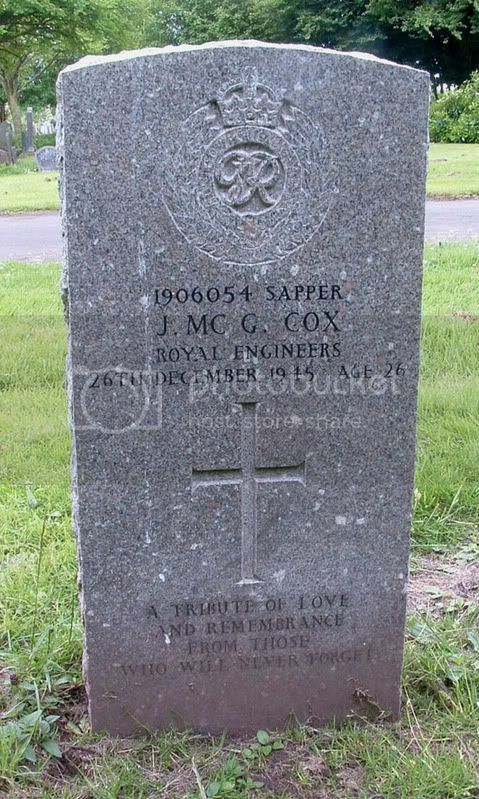 Additional information:	Son of Daniel and Mary Cox, of Glasgow; husband of Rose Cox, of Springburn, Glasgow. Grave/Memorial Reference:	Sec. G. Grave 1129. 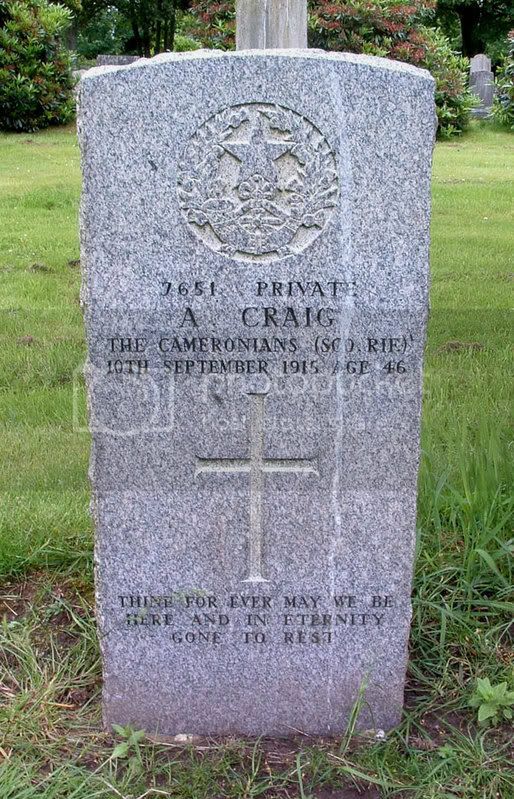 Additional information:	Husband of Louisa Craig, of 2, Alston Lane, Calton, Glasgow. 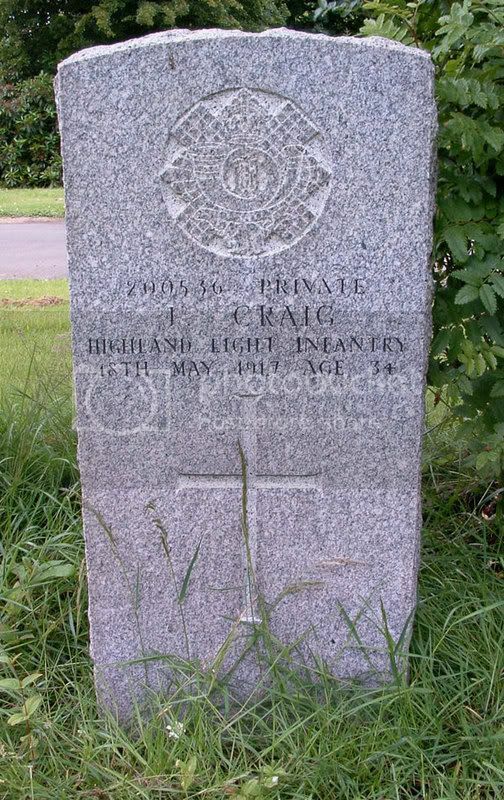 Additional information:	Husband of Mrs. Craig, of 80, Maitland St., Cowcaddens, Glasgow. 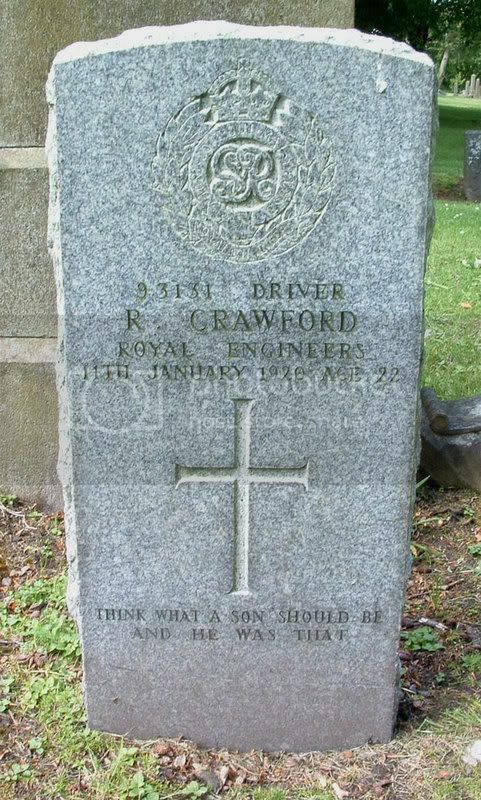 Additional information:	Son of Robert and Helen Weir Crawford, of 18, Carbeth St., Possilpark, Glasgow. Unit Text:	1st/9th (Glasgow Hdrs.) Bn. 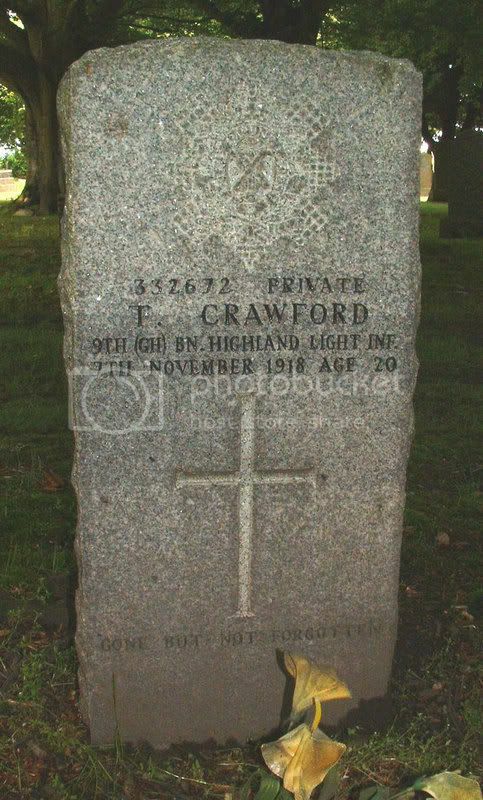 Additional information:	Son of David and Elizabeth Crawford, of 53, Elmfoot St., South Side, Glasgow. 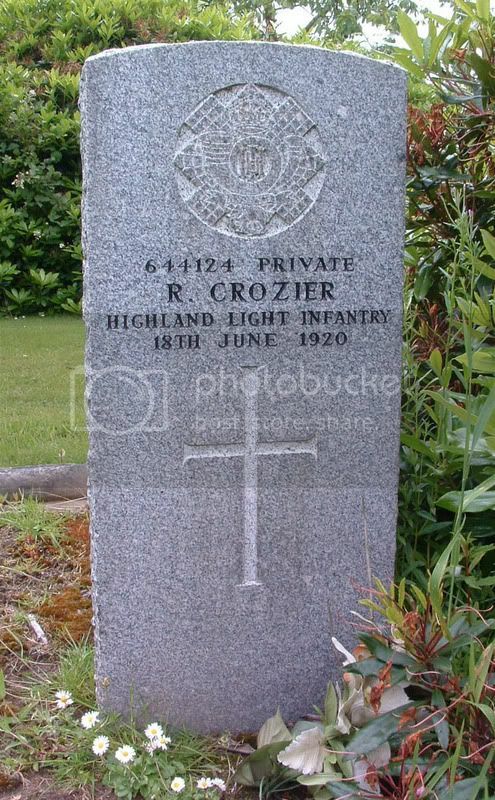 Additional information:	Husband of Agnes Leighton McLean Crozier, of 53, Stirling St., Cowcaddens, Glasgow. Unit Text:	48 Div. Sigs. 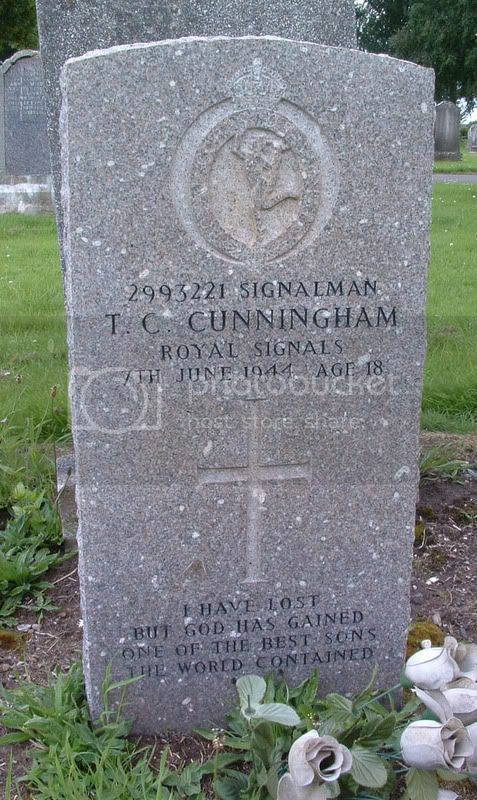 Additional information:	Son of Thomas Cramond Cunningham and Elizabeth Coyne Cunningham, of Glasgow. Grave/Memorial Reference:	Sec. 1. Grave 759. 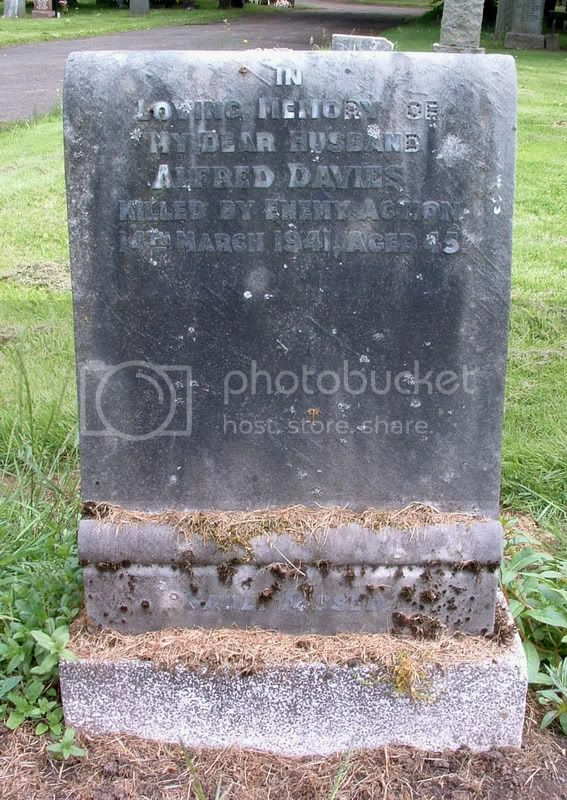 Additional information:	Husband of Lily Davies, of 139 West Graham Street. Died at Yarrow's Shipyard.